World Record for Food Packing! 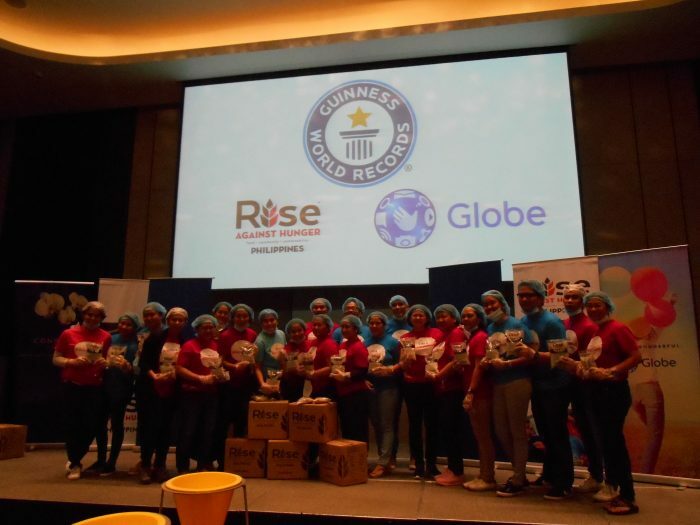 On World Food Day (October 16th), volunteers from Globe Telecom, Conrad Manila, and Rise Against Hunger PH joined forces to hold a special meal-packing relay in Manila, with ICM as their chosen beneficiary. 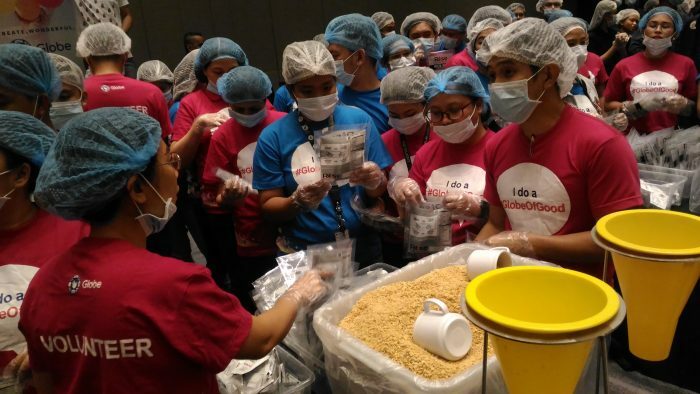 This was also an attempt by RAH to break the Guinness World Record for most meals packed by volunteers within 5 minutes. 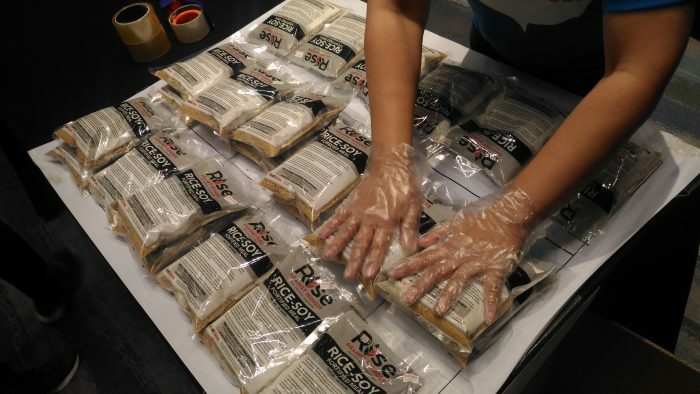 Meal-packing relays were also held in eight other RAH offices around the globe (like in the US, South Africa, Italy and India) simultaneously. 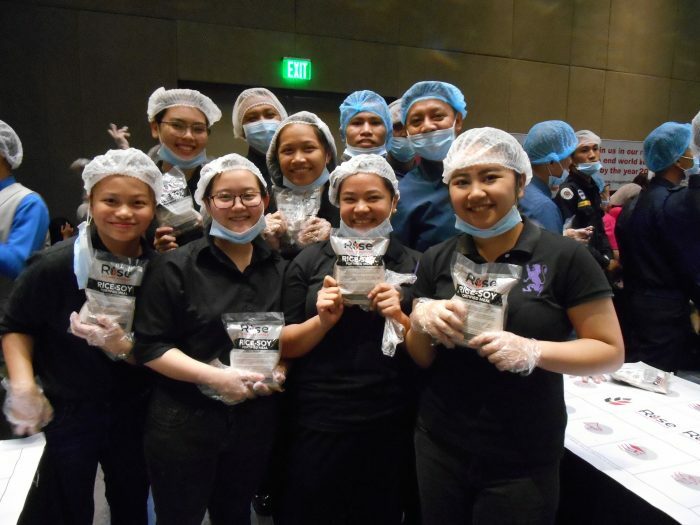 In Manila, participants were able to pack 214 meals in less than 3 minutes. The record was confirmed the following day after Guinness World Records presented a plaque to Rise Against Hunger US. After the meal-packing relay, the volunteers gathered again to resume the meal-packing at a normal pace. By the end of the event, a total of 3,600 parcels were packed, which ICM will send to 500 families in Cagayan who were deeply affected by Typhoon Ompong (Mangkhut) last September. Marivic, one of the volunteers from Globe, was happy she was able to help those who were in need and at the same time became a part of a history. “We packed those meals with so much love, and I hope that these can help them,” she said. Three more RAH meal-packing events are scheduled to for October 22nd, 26th and November 28th, all of which will benefit ICM’s ultrapoor recipients.